Emmanuel DeJesus graduated in 1999 with a Bachelor’s in Physical Therapy at Dominican college. He graduated from Far Eastern University in 2003 as Doctor of Medicine. 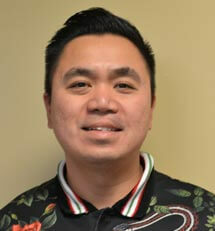 Emmanuel worked as an emergency room physician in Manila up to 2006. Emmanuel also worked as a PT in outpatient, hospitals, nursing homes and school. Currently a Rehabilitation Director for 10 yrs now, and director at Seaview hospital in Staten Island.